Send your friends and collect a cash bonus. Great service, great prices and lots of extras add up to one of the best self storage solutions around. Need a secure place to store your stuff? We know you have plenty of self-storage options to choose from. So why store with us? 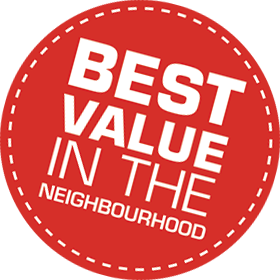 Because we provide the best value, hands down. The Best value and 4 weeks free on select units. Our clean, up-to-date North York and Toronto self storage locations employ state-of-the-art technology and fully-trained staff to ensure your belongings stay safe 24/7. We offer a wide variety of unit sizes, moving and packing supplies, as well as affordable storage solutions for small and medium-sized businesses. Do you need to store the contents of your home because your old house closed before you can move into your new place? Do you need an offsite location for confidential documents? Are you a business searching for a climate-controlled environment for temperature-sensitive inventory? Whatever your storage need, we have a smart, secure solution. Serving our local communities for over 30 years, our satisfied renters continue to rate us highly. Centron’s facilities have the best reviews in our local markets. Have you finally decided that you need more space to store your goods? At Centron Storage, we provide safe, clean storage units in North York where you can securely house your goods for as long as you need. Whether you’re looking for a compact space to keep confidential documents offsite, or enough room to hold furniture, appliances, or even a car, we have storage spaces of all shapes and sizes. The number, type and size of items you plan to store will determine the kind of storage units you need in Toronto and North York. To find the unit that’s right for you, make a list of your items. Think about how you might stack and nest items together compactly, but make sure that you’ll still be able to access them easily once they’re packed away. Whatever your public storage needs, Centron Storage Toronto provides storage units that you can trust. Have you been forced to find a reliable storage rental because the sale of your old house closed before you can move into your new home? Do you need an offsite location for confidential documents? Are you a business searching for a climate-controlled environment for temperature-sensitive inventory? With two locations of clean, well-lit self storage, Centron Storage provides you with a safe storage environment. Our technology systems and site patrols help to keep your goods protected and secure. Whether you need 20 square feet or up to 300 square feet of space, we’re your top choice for storage solutions. Whatever the type, quantity or size of items, we provide excellent customer service, a range of packing tools, and the optimal space to store your goods in a storage facility you can trust. Not sure how much room you need to store all your items? Use our handy calculator to figure it out. I used a storage unit at Centron while my house was under renovation. The service was fantastic! Being a first-time user, I had lots of questions. The office staff were knowledgeable and got me the perfect unit for my needs – for a great price. My storage unit was very clean and easy to access. They even gave me a free van to move my things! We live in South Africa and have been storing our belongings at Centron for a number of years. The service is excellent, and we really feel like our belongings are safe and sound while in storage. Great customer service, and the storage units are huge and clean. Wonderful customer service! The staff are incredible and very helpful. My belongings were stored in a clean, bright and very secure place – thank you, Centron! I needed to storage my belongings while waiting for the sale of my new house to close. Centron’s staff are excellent – their service is by far above the rest, and the facilities are beautifully kept and very secure. Centron place a lot of emphasis on security. There is nothing more reassuring than knowing your precious possessions are safe. I also like how well-lit, airy and clean their units and premises are. I have no worries about pests damaging my goods. 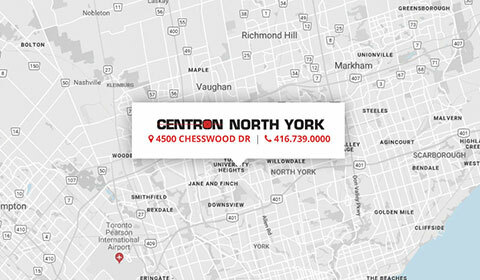 Had an awesome experience at Centron’s Chesswood location in North York. The staff is kind and really care about your needs. I have a few units at the Chesswood location, and the site is well-heated, clean and well-kept all year long! I would recommend it because of the excellent value, great savings. Five stars. Great service. Excellent staff. Good promo and referral program. Great location, great staff and great facility. Have been using them for quite a while and have no complaints – definitely recommended. Better than any other – deserves five stars. Very professional staff, very helpful. I recommend it. Excellent customer service! This time I used Centron for my office files. Perfect place with easy-to-use service. And I was always happy to see the friendly staff. Great location, great staff and great facility. Have been using Centron for quite a while and have no complaints – definitely recommended. I have used Centron several times over the years. The staff is always friendly – it’s always a pleasure to see the familiar people when I’m there. Easy access, great service and friendly reps. I find the atmosphere very friendly and they are always willing to help. Awesome customer service! Centron will now be my #1 source for all my storage needs. My stuff is always safe and secure. I’m happy I picked Centron. Centron provided exemplary service and it gave me real peace of mind.